Since last weekend, Israeli warplanes preemptively terror-bombed Gaza and Aleppo’s Sheikh Najar region overnight, causing material damage, according to Syria’s Defense Ministry. For Netanyahu, it’s all about wanting his resume as a warrior burnished ahead of upcoming April 9 elections – wanting bragging rights for deaths, injuries and destruction. What further aggression does he have in mind through early April? According to the Palestinian Prisoners Society, his regime abducted 19 Palestinians on Thursday, invading dozens homes across the West Bank, ransacking them, terrorizing families, traumatizing young children. On Wednesday, seven Hebron Palestinians were kidnapped by Israeli forces. Soldiers attacked peaceful protesters near Ramallah, marching in solidarity with Palestinian political prisoners, eight shot with live fire and rubber-coated steel bullets. An uneasy Gaza truce is holding, Strip residents fearful of further IDF terror-bombing and possible cross-border attacks by Israeli combat troops – mobilized ready to invade if ordered. Overnight Wednesday and Thursday, hundreds of Gazans protested against Israeli aggression and suffocating blockade. Soldiers attacked them with live fire and toxic tear gas. Saturday March 30 is Land Day, commemorated annually since 1976. At the time, Israeli General Yisrael Koenig prepared a secret plan, encouraging greater Jewish occupation of the Galilee and Negev, wanting Arabs displaced to accommodate them. Demonstrations against confiscation of over 5,000 acres of Palestinian land were declared illegal. Security forces attacked nonviolent Palestinians, killing six, injuring dozens, arresting hundreds. For Palestinians, Land Day is all about resistance against Israeli theft of their land, displacing Arab residents for exclusive Jewish development and occupancy. What began 43 years ago remains an endless struggle for Palestinian rights to their land and freedom from repressive Israeli occupation. “…Palestinians’ rights to their lands, their livelihoods and their lives are under greater threat than ever,” said Adalah. Ahead of this year’s commemoration, the Palestinian Central Bureau of Statistics (PCBS) said Israel occupies more than 85% of historic Palestine, about 27,000 square km. At end of 2017, there were 150 illegal Israeli settlements and 116 outposts. Last year, the Netanyahu regime sharply increased construction of around another 9,400 housing units, approving nine new settlement outposts. Settler population was around 654,000 at yearend 2017, numbers increasing daily at the expense of displaced Palestinians. 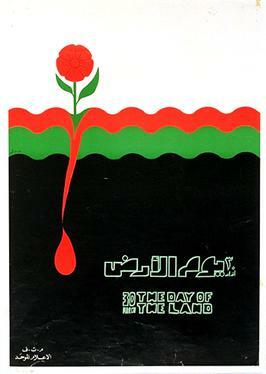 “Every day is Land Day for our people.” It reflects “our battle with the occupation that steals our land and our future. The only way to respond is by escalating popular resistance” – continuing until Palestine is liberated from illegal Israeli occupation. Annual Land Day commemorations are to resist and remember, Palestinians expected to turn out en masse this Saturday throughout the Occupied Territories – Israeli violence virtually certain to confront them. As long as illegal brutalizing occupation continues, on Land Day and every day, supporters of peace, equity and justice everywhere are all Palestinians.